"Wally-Neuzil-Gesellschaft/Wally-Neuzil-Society" is a non-profit-organisation located in Baden bei Wien, Austria (registered ZVR 049012938). 1. To remember the life of Walburga ("Wally") Neuzil (born on 19 August 1894 in Tattendorf, Lower Austria, died 25th December 1917 in Sinj, Croatia). 2. To repair and maintain the tomb of Wally Neuzil in Sinj (Croatia). 3. To carry out, promote and publish researches and publications on the life of Wally Neuzil, on her personal environment as well as on the reception of her biography and on the fate of her portrait painted by the painter Egon Schiele in 1912. 4. To carry out research and publications on those developments which triggered the provenance of Egon Schiele's painting "Portrait of Wally Neuzil" (1912). The society was founded on March 23rd, 2017 in the garden of Newnham College in Cambridge, England by the Croatian art historian Marija Škegro and the Austrian historian Dr. Robert Holzbauer. 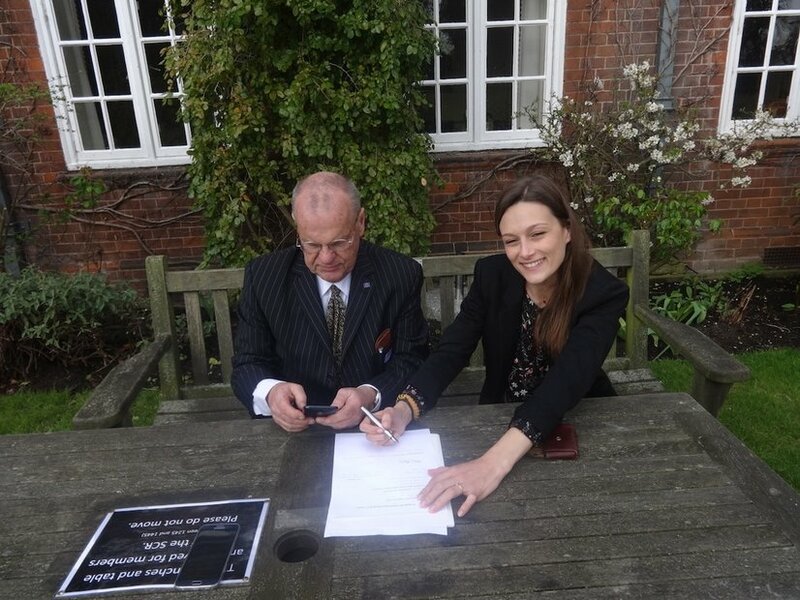 Robert Holzbauer and Marija Škegro sign the notification of the "establishment of a society" in Cambridge, England.